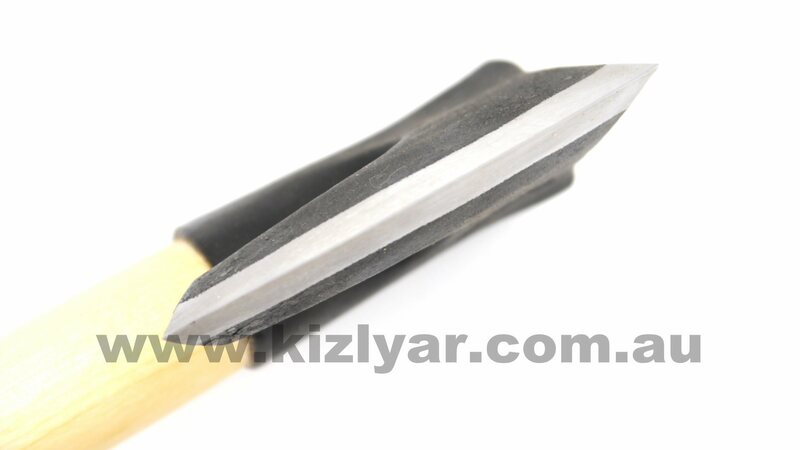 The Axe with a short handle is very efficient at what it does and it is designed for woodcutting and whittling. 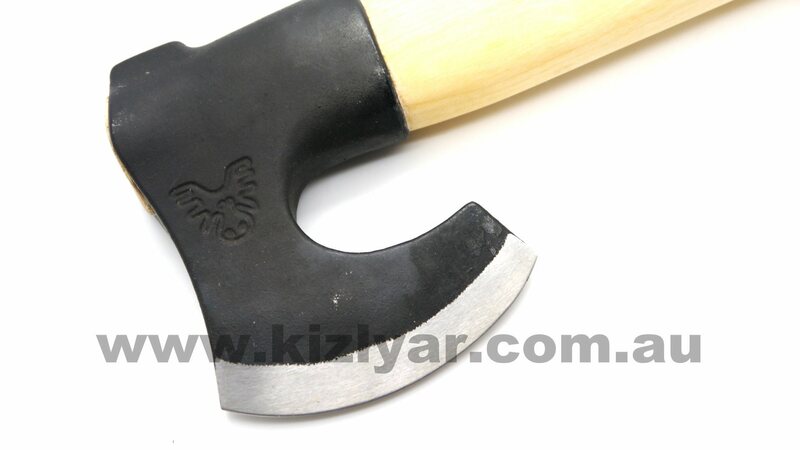 Compared to the Axe with a longer handle, this one works well as a one-hand axe. 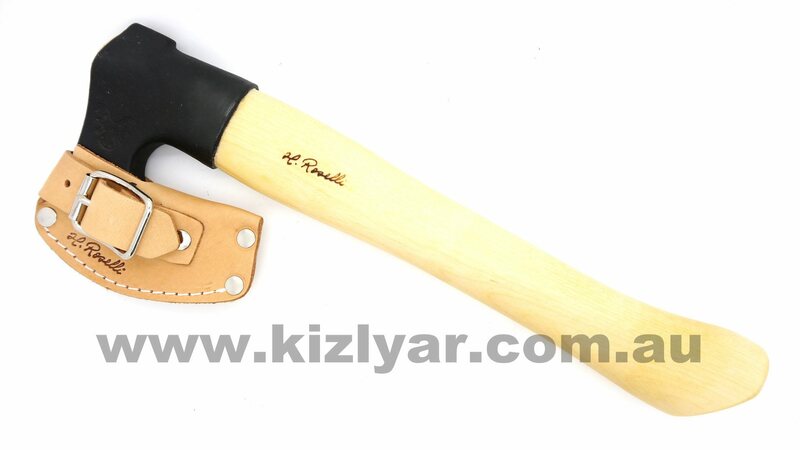 Roselli's Axe comes with a simplistic, tanned leather case to protect the cutting edge. 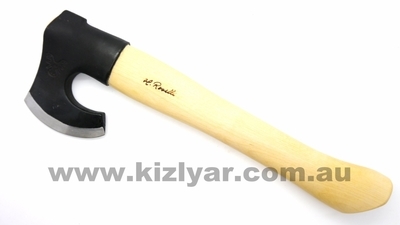 The handle is made from birch and coated with linseed oil to ensure a firm grip, even when wet.